When an athlete competes in the UFC, they are not only accepting the opportunity to be in the spotlight, but also under the spotlight when it comes to clean sport. 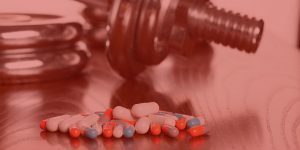 As such, athletes who are subject to the UFC Anti-Doping Policy have to be particularly vigilant about the substances they consume, medical treatment they receive, people they associate with, and competitive practices they accept. This vigilance means recognizing high risk behaviors and situations to minimize the risk of a positive test, adverse health event, or rule violation. While USADA is always available to help, athletes also need to be able to recognize clean sport red flags, so as to protect their health, their reputation, and their livelihoods. Supplements for muscle-building, weight-loss, sexual enhancement, and energy. Supplements that claim to treat or prevent a disease. Supplements that claim to be an alternative to prescription medication. Supplements with ingredients ending in -ol – diol or –stene, or ingredients that contain a lot of numbers. Always keep in mind, however, that any supplement can pose some risk due to lax regulatory standards, even supplements that seem low risk or claim to be all natural.